I was trying to conceive for more than one year, one month FertilAid, I’m pregnant with twins. WOWWWWWWWW, I have thoroughly read most of the reviews before ordering this product, its damn near 99% success rate prompted me to give this a try. I went ahead and ordered and received this product on June 5th 2015. 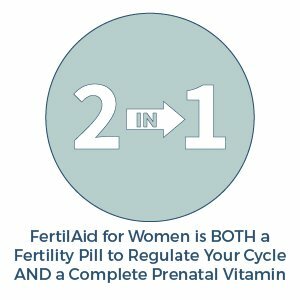 I immediately started taking these pill on that same day, I was just about to start my period around this time and thought it would be perfect as I would be ovulating a few weeks later. Based on the reviews I have read, most of the women got pregnant within their first month of trying. I figured what the hell….it couldn’t hurt. I had 2 miscarriages almost 3 years ago within a 5 month period of each other and I have been trying faithfully to conceive for the past 2 years but nothing was happening. I’m 38 btw and age doesn’t make it any easier. Nevertheless, after taking these pills for only 1 month, i’m patiently looking at the calendar counting the days for my next period to come and to my surprise….NO PERIOD. I left my job this morning and took a walk to the closest drugstore, bought a pregnancy test on the day of my expected period and saw 2 beautiful lines. YES!!!!!! I’m pregnant. 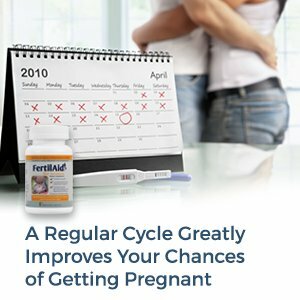 I couldn’t be more ecstatic, I haven’t even called my husband yet, had to write this review first and let all other trying to conceive women know that these pills DO WORK. What an amazing product and for the price its definetly worth it. SUPER HAPPY, thank you FertilAid but most of all ALL PRAISES TO GOD!!!!! I was told at my docs office if I wanted more kids I would have to move towards fertility treatments. I have low egg reserve and only 3 follicles..i took this for one month and bam. Found out last week I am pregnant! I couldn’t believe my eyes! Positive thoughts to everyone! My husband and I went through treatment for infertility for 6 months, clomid and ovadril shots. I said that I needed a break from the hormones. 2 months later I came across FertilAid on Amazon and asked him if I should try it. We thought, for how much we have already spent, what’s another $30? Happy to say after a month of FertilAid I am pregnant. There is hope everyone. 🙂 Don’t give up. I was very skeptical about this product. I started the first pill on cycle day 1. I had major major cramping. I continued to take them until I was late on my period. I took a test and it was NEGATIVE. I stopped taking the pills bc I was discouraged. Apperently I ovulate late. Today is cd 38 and I got my POSITIVE!!! Yay!!!! Super surreal! I believe these pills, and prayers helped us. Good luck to the person reading success stories to keep the hope up!!!! I have had pcos since i was 9 years old sadly. My periods are very irregular. I have been without a period for up to 9 months. However, the past 2 years my cycles have been befween 45-65 days. I have had anavolutory bleeding too. Ttc for almost 4 yeats. I took these pills as suggested along with ovaboost, and fertile cm. Oh my God! My cycle was 29 days with just 1 bottle. I even ovulated! I tracked my cycle with an app called Ovia, and in addition took ovulation tests. I did not get a BFP this month sadly, but i did ovulate and had a very healthy cycle. That is the first step. I have faith one day i can say i got that bfp. I will keep updating as I go through each month for the next three months. Fingers crossed my baby comes soon. So I have a hard time believing that this vitamin worked for me. I keep peeing on a stick everyday just to remind myself. I have PCOS and my husband and I have been trying for 3 years to get pregnant. It has bee an emotional roller coaster but we have stayed strong. We only wanted to try naturally, we were willing to accept if it was not meant to be. So me 35 and him 36 we said lets try these natural vitamins. The first full month trying them for woman and men and I am now 5 weeks pregnant! I have my first doctors appt to confirm my pregnancy on July 5th but I took 5 tests and all are positive! I know it is different with everyone. I was exercising, cut out alcohol and still can’t believe all of this. Thank you Fertilaid. Late ovulation, 5 chemical pregnancies. Took Fertilaid for 1 cycle and ovulated 5 days earlier and am now having a successful pregnancy! Would HIGHLY recommend! An excellent source of omega-3 fatty acids designed for trying-to-conceive, pregnant and nursing mothers. Pharmaceutical grade DHA/EPA, small capsule size plus a natural citrus flavor. Natural formula to help relieve morning sickness and heartburn. Contains vitamins, minerals, and herbal ingredients shown to help ease common pregnancy discomforts.